Pixiu is a Chinese mythical hybrid creature having the powerful head of a Chinese dragon and the bold body of a lion. Traditionally to the Chinese, it is particularly influential and auspicious in creating and maintaining wealth. Pixiu craves the smell of gold and silver and it likes to bring his master money in his mouth. 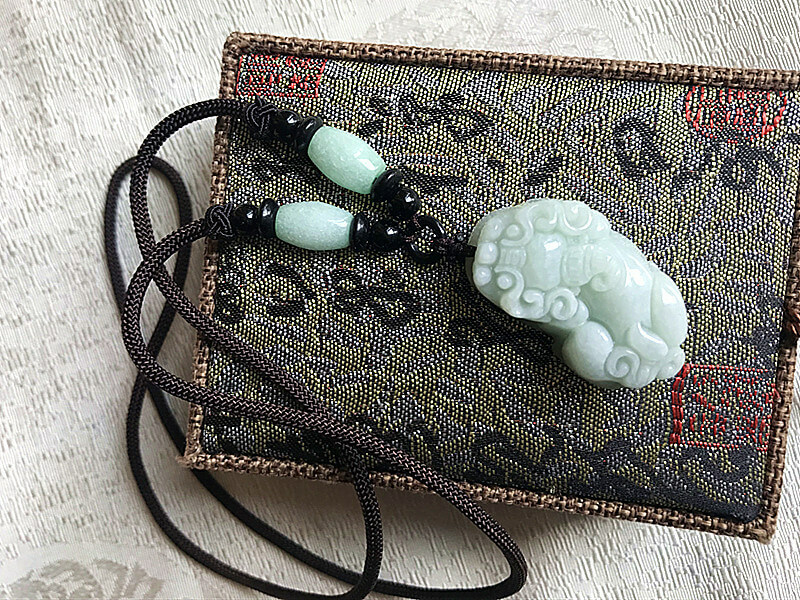 Therefore, Pixiu has always been regarded as an auspicious creature that possessed mystical powers capable of drawing wealth from all directions. It’s also considered a propitious animal that could turn disasters into good fortune. The other use of the Pixiu is as a protective cure against the negative energy of Tai Sui (the Grand Duke). So, if you offend Tai Sui, it's good to wear Pixiu. 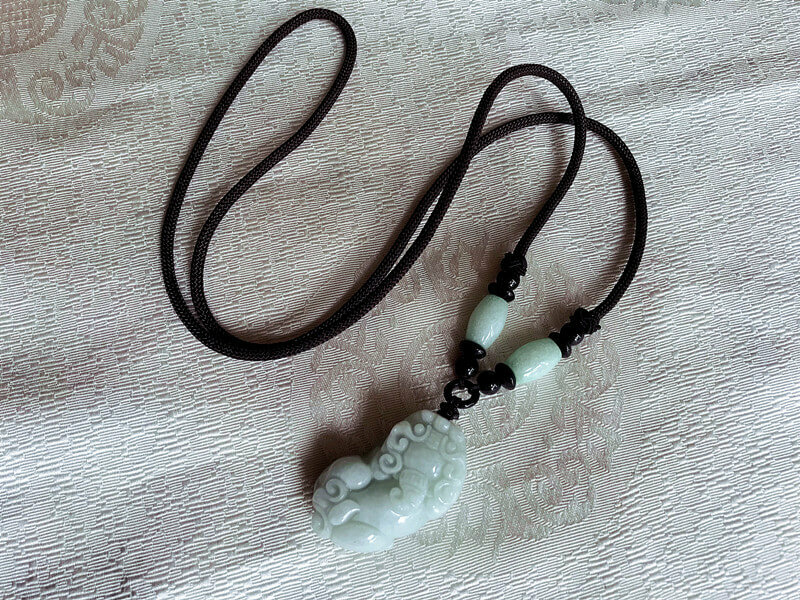 Who Should Wear Jade Pi Xiu? All the people who want to improve luck in wealth and improve fortune should wear it. 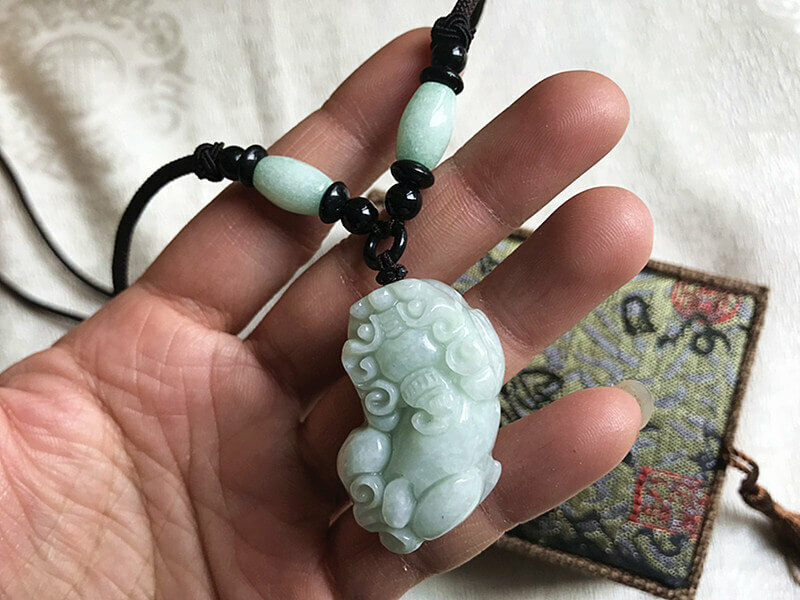 According to the Chinese tradition, jade is a spirit item which can calm the frightened mind, ward off evil spirits and counteract disasters. According to Chinese Zodiac, the people under the Chinese zodiac signs of Pig, Monkey and Snake offend Tai Sui in 2019 year of the Pig. 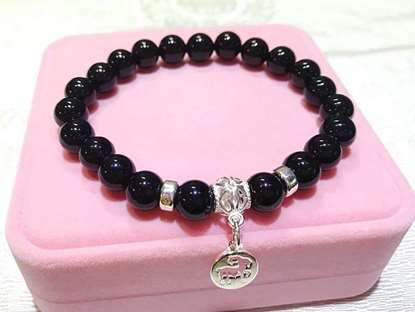 If you are under one of the above signs, wearing Pixiu could help you ward off evil spirits and prevent wealth from flowing away. For other signs, it could help you attract more wealth, main your present wealth and bring good fortune. Who Should Wear Pi Xiu? According to Chinese Zodiac, the people under the Chinese zodiac signs of Pig, Monkey and Snake offend Tai Sui in 2019 year of the Pig. If you are under one of the above signs, wearing Pixiu could help you ward off evil spirits and prevent wealth from flowing away. For other signs, it could help you attract more wealth, main your present wealth and bring good fortune. Who Can Not Wear Pi Xiu? 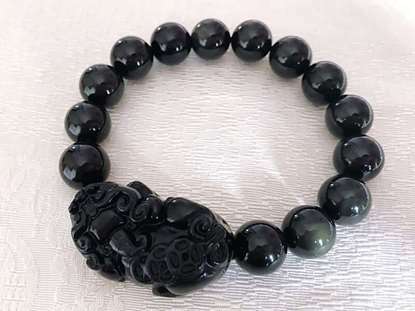 Since Pi Xiu was the 9th son of the Dragon King while dragon and tiger are incompatible with each other, people under the Tiger sign may suffer from misfortune once wearing a Pi Xiu. Besides, Dragon is incompatible with Rabbit and Dog in Chinese zodiac. Hence, people under the Dog, Rabbit and Tiger sign are not suggested to wear Pi Xiu. We use the following jewelry bag to put the bracelet. We will send the items within 72 hours from the time that your payment is done. However, if it meets the China national holidays, such as Chinese Spring Festival (7days holiday from Chinese lunar date of Dec. 31 - Jan. 6), we will postpone the dispatch time as China Post stops service during holidays. We use China Post Registered Air Mail or e-Packet which has tracking informationuntill delivery to send your package.